This model is not actually a bowl, but it has the representation of a bowl. 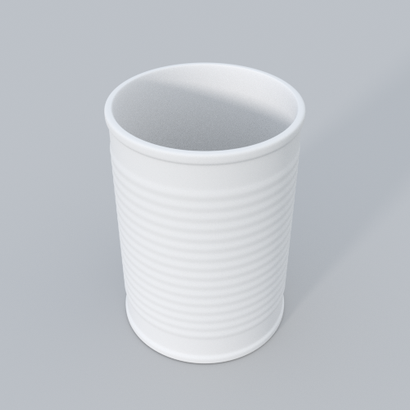 It was made in Blender and checked with NetFabb, it works really well for your home or making a joke with someone. I, will be creating a lot more objects, and if you like this model be sure to rate it. This is your 3D printed Accessories, Decorative, Jewelry, Science & Tech, Articulated skeleton, Building models, Decoration, Indoor design, Lights, Table art, Bracelets, Pendants and Necklaces, Rings, Mathematics, Mechanics, Robots, Tools, Puzzle, Tablet Cases, iPhone cases! 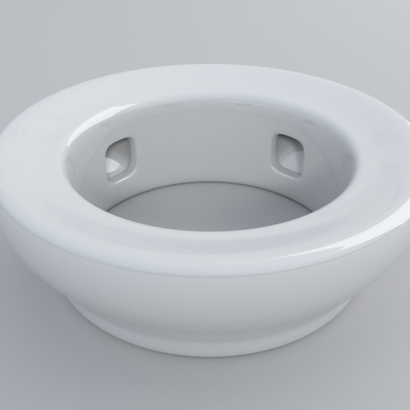 Fake Bowl was conceived and sold by ViktorLambov so you could modify it, make it your own then use it regularly! Pick more than 75 various 3D printing components to conceive this 3D printing design so it fits your lifestyle or the use and style of the mate you desire to gift it to. Elect the 3D printing material which your personality, the tint that suits your disposition, the height and width you would like your Fake Bowl in and you will obtain it 3D printed very quickly. Thanks to the marketplace by Sculpteo, you are able adapt this design created by ViktorLambov and spontaneously get an view of the way the 3D printed object will be. If you happen to be in doubt and are not a 3D printing specialist yet, we'll also deliver you recommendations to optimize your Fake Bowl and make the most of the talent ViktorLambov place in it to realize a really unique and customized Accessories, Decorative, Jewelry, Science & Tech, Articulated skeleton, Building models, Decoration, Indoor design, Lights, Table art, Bracelets, Pendants and Necklaces, Rings, Mathematics, Mechanics, Robots, Tools, Puzzle, Tablet Cases, iPhone cases. Wheather you want to have Fake Bowl 3D printed for yourself or for a friend you will let you to follow it until it reaches you. You are able customize the design of this 3D model and modify bits to really doubtlessly a unique article, don't wait to adjoin details and make this 3D printing design even more special and perfect for your personality. And if you love Fake Bowl, do not forget to check out another 3D models designed by ViktorLambov to create other great 3D printing items.